You and your family may use your savings card any time your prescription is not covered by insurance. There are no restrictions and no limits on how many times you may use your card. Our card is available to you and your family. We’ve provided and extra card for you to give to a friend or neighbor who may need this card. 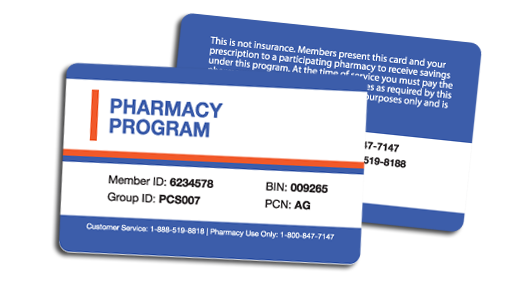 If you do not have insurance that covers prescriptions, this card may save you dollars on all your prescription needs. And even if you have a prescription card through your medical insurance plan, you can use this savings card for prescriptions not covered by your current carrier to help save you money. 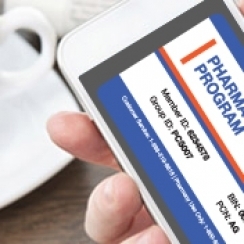 Our FREE card can be downloaded right to your phone and used at the pharmacy without having to hunt for cards in your wallet or purse. Our card is good for anyone without insurance, send it to your friends and family so they can save too!